According to the National Center for Education Statistics, 20.4 million Americans (or 6.2 percent of our nation’s population) enrolled in colleges or universities in the fall of 2017. This represents an increase of 5.1 million students from just the fall of 2000. Along with this growth in enrollment comes increased and fierce competition between higher education institutions. Higher education marketers have been forced to become savvier than ever before to communicate their school’s differentiators attract the right type of students. Colleges and universities who do not adapt risk experiencing a significant decrease in enrollment. S&A Communications is experienced in helping higher educational institutions with their marketing, PR and communications needs. We understand their unique challenges and know how to help differentiate their brands, build awareness, and effectively position them in today’s new higher education landscape. 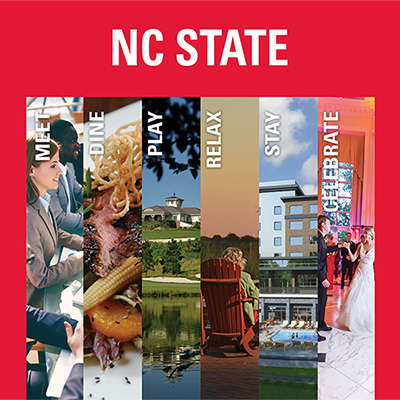 We have worked with N.C. State University departments including crop science, dining, catering, hospitality, and Vaughn towers, as well as Duke University, Meredith College, University of Mississippi, University of North Carolina at Chapel Hill, University of North Carolina at Pembroke, Wake Technical Community College, and Sallie Mae to name a few.